Press and Journal photo by Debra Schell- Volunteers work to organize clothing donated at Reid Elementary School to help needy families who lost personal items in the flood caused by Tropical Storm Lee. 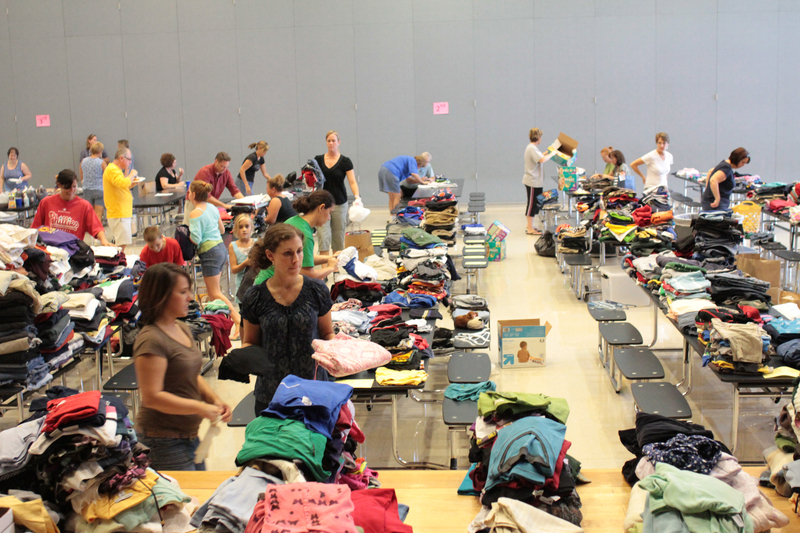 An abundance of clothing, personal care items, cleaning supplies, school supplies and food is available to Middletown flood victims through Friday, Sept. 16 at the Main St. Gym, according to Earl Bright, the school’s principal. The school will be open until 4 p.m. Monday, Sept. 12; from 8 a.m. to 8 p.m. on Tuesday, Sept. 13; and from 4 p.m. to 8 p.m. Wednesday, Sept. 14 through Friday. “We have clothing for infants to adults as well as cleaning supplies, school supplies and a small supply of household items including dishes,” said Bright, who is in charge of the operation. The school will be accepting donations throughout the week and will also allow people to pick up any supplies starting Monday. The school is not accepting large items like refrigerators because there isn’t enough room, he said. 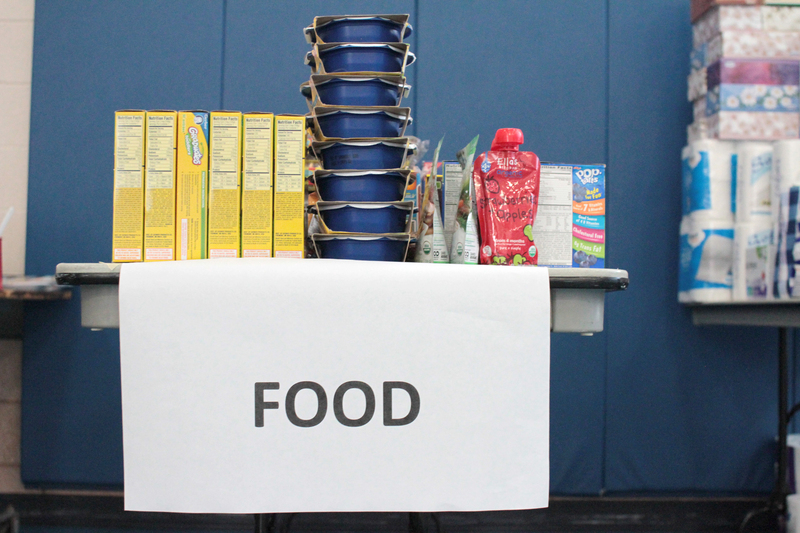 Food was also provided for residents at the Main Street Gym on West Main Street in Middletown at lunchtime on Monday.